Dyson V11 vacuum review: At $1099, should you buy one? Stop. Everything. Dyson has a brand new vacuum cleaner and it's cordless. For some people, the release of a new Dyson vacuum model is more exciting than the latest iPhone reveal. After learning about the Dyson V11 cordless vacuum cleaner, we can kind of see why. This thing is the iPhone Xs of cleaning. And well, it kind of better be good, given that the cheapest of the three versions retails for $1099, going up to $1249 for the “Absolute Pro” model. The Torque Drive model retails for $1099. Image: Dyson. For those non-Dyson enthusiasts wondering what could possibly make this vacuum so worth that kind of money, it does have some pretty cool features, but most importantly it&apos;s got "most powerful suction of any cord-free vacuum in use" and lasts longer than other cordless vacuums. The Dyson V11 stand-out feature is its LCD display. It tells you how long you&apos;ve got until you need to recharge, let&apos;s you know what setting its in, and provides helpful instructions when something goes wrong - such as a blockage. But for the most part, you won&apos;t have to think about this vacuum, because it&apos;s other major feature is that it is intelligent. That&apos;s if you get the Absolute ($1199), or Absolute Pro ($1249) version, that is. LISTEN: We need to talk about vacuums. Post continues. It&apos;s not so intelligent that it will do the vacuuming without you - that&apos;s what robot vacuums are for - but the V11 Absolute does realise what surface (hardwood, carpet etc) it&apos;s running on and adjust its settings accordingly. All models boast a super advanced filtration system that promises to leave your air cleaner by capturing particles as small as 0.3 microns, which sounds... impressive. The V11 is also the most powerful cordless vacuum on the market - with 20 per cent more suction power than its predecessor Dyson Cyclone V10. And it overcomes the major problem some people have with cordless vacuums - the use time. 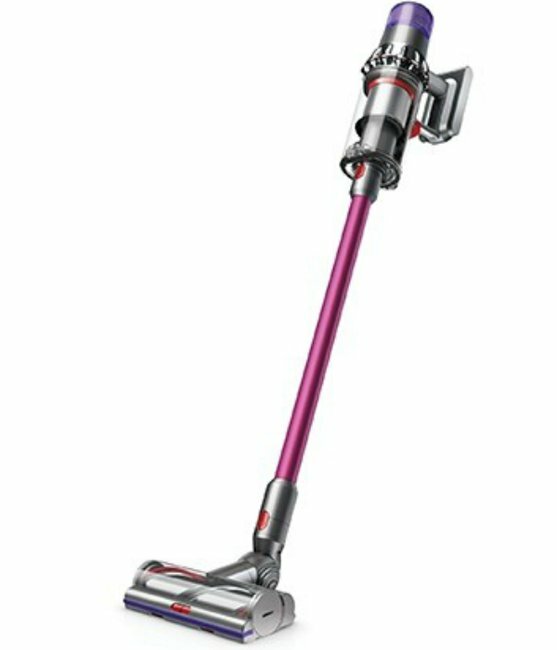 According to Dyson&apos;s website, this vacuum has "Dyson’s most powerful battery" yet, giving you "up to 60 minutes of fade-free power" before needing to be recharged. Hopefully, that&apos;s enough time for you though - because it takes 4.5 hours to fully recharge. The screen features a countdown clock to let you know how much time you have before needing to recharge. Image: Dyson. Early, reviewers have been impressed with the vacuum. "Having spent a little time with it already, I have now become irrationally excited to clean my floors," Gizmodo writer Tegan Jones said. 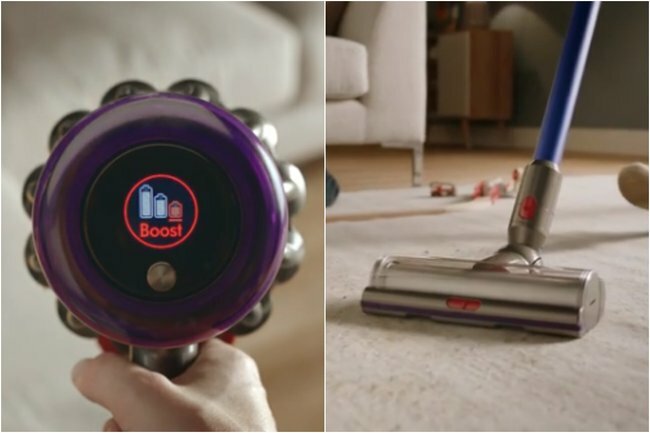 While the Good Housekeeping UK team found that "on &apos;Boost&apos; mode we couldn’t fault the pickup, and it would easily rival even the best full-size vacuums". And of course, at home users are very excited. Ohhh it&apos;s my birthday tomorrow and the Dyson v11 is out, how exciting. The V11 is available on Dyson&apos;s website now and will hit Australian stores in two weeks. Will you splash out for a Dyson V11 cordless vacuum?